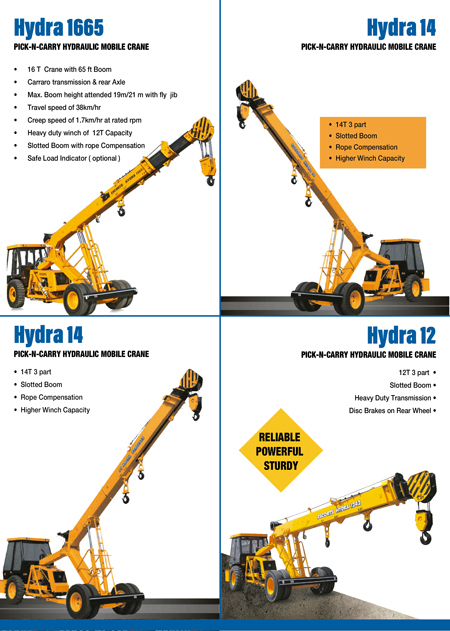 Everything that’s needed to build…. 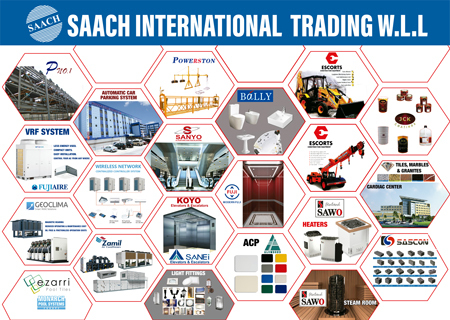 Saach International Trading W.L.L (SAACH) is a subsidiary of Al Namal Group an ISO 9001:2008 certified company, Established in 2001 to focus on trading activities. A well established name in trading in the Kingdom of Bahrain. Ever since its foundation, Saach International has been working hard on the basis of honesty , ethics and excellence. 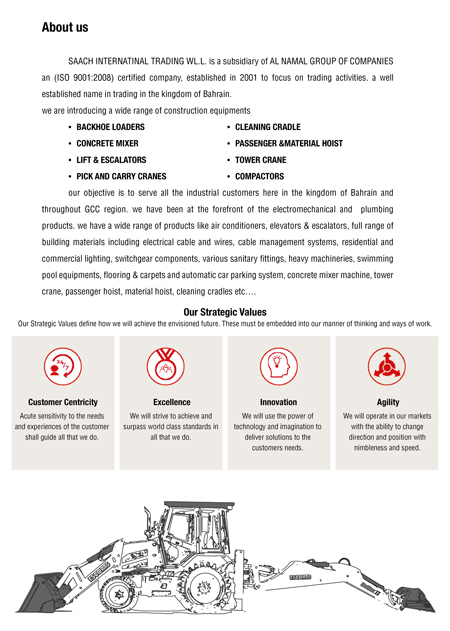 Our objective is to serve all the industrial customers here in the Kingdom of Bahrain and throughout the GCC Region .Taking inspiration from the past, setting milestones in the present, we continually strive to unravel the opportunities that the future has in store. 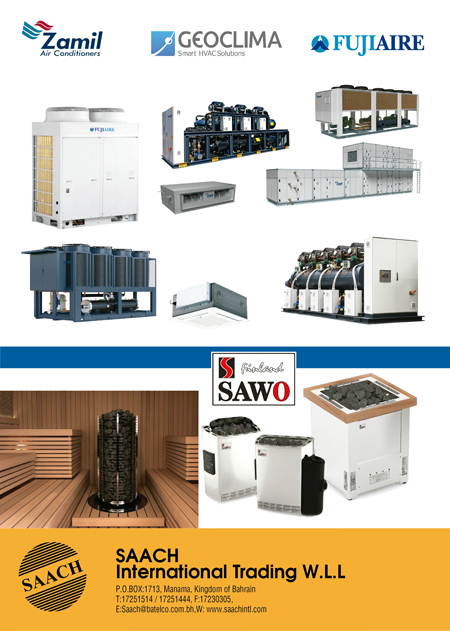 We have been at the forefront of the electro mechanical and plumbing products. 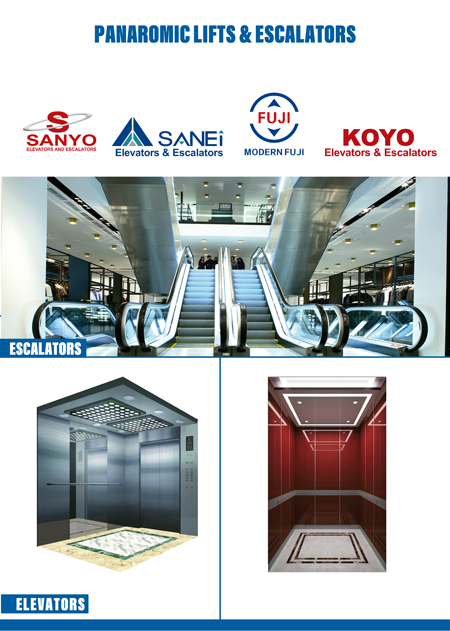 We have a wide range of product like air conditioners, elevators, full range of building materials including cable and wires, cable management systems, residential and commercial lighting, L.V. 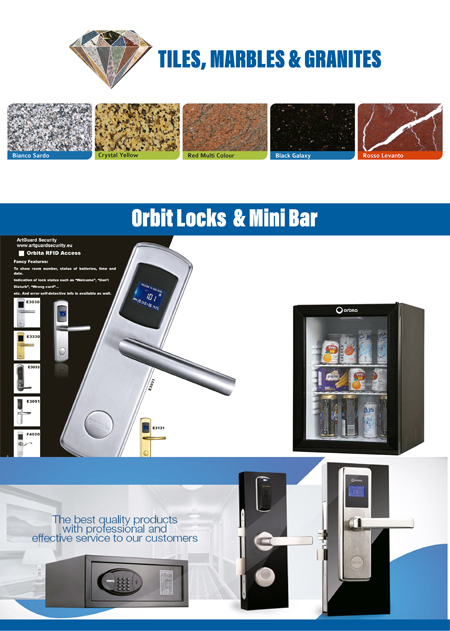 swithgear components, various sanitary fittings, heavy machineries, swimming pool equipment’s, Flooring & carpets and automatic car parking system. 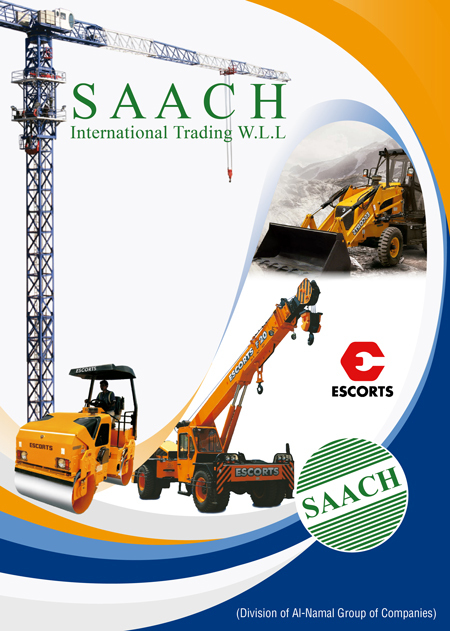 At the core of Saach momentum is our dedication to the success of our customers. 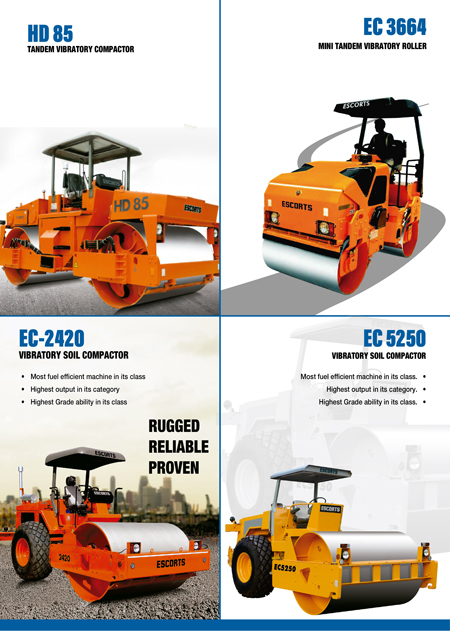 A balanced product portfolio, strategic alliance with the key vendors, strong financial positions, commitment to service, high quality and value to a corporate structure which emphasizes business with the highest ethical standards are all responsible for our leadership in this fiercely competitive vertical market With a heritage of innovation and flexibility, the company has always been the catalyst to shape the electro mechanical engineer. 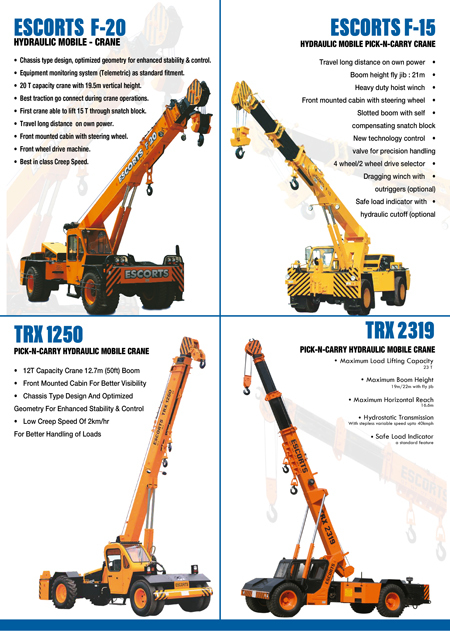 We have successfully executed many projects. 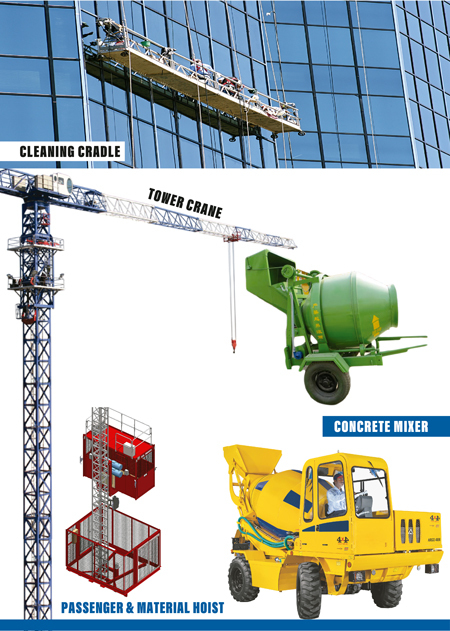 Some of our major projects are Riffa Mall, Al Bayan Tower, Burj Omran, Skyview Towers, Ramli Mall, Hidd Mall. 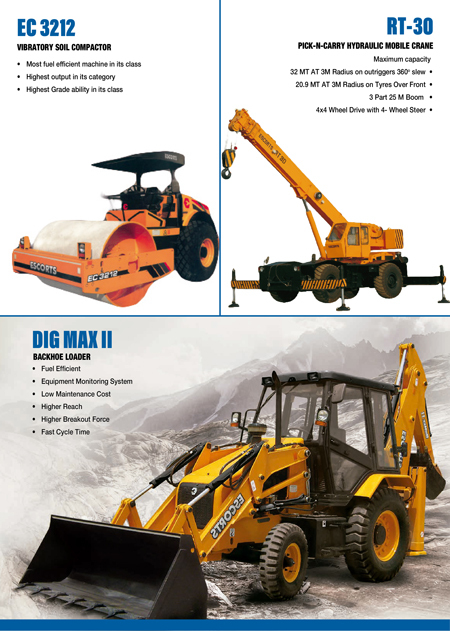 SAACH is the agent of following brands of construction equipment’s.